Climb higher than you’ve gone before and enjoy the view from the top! 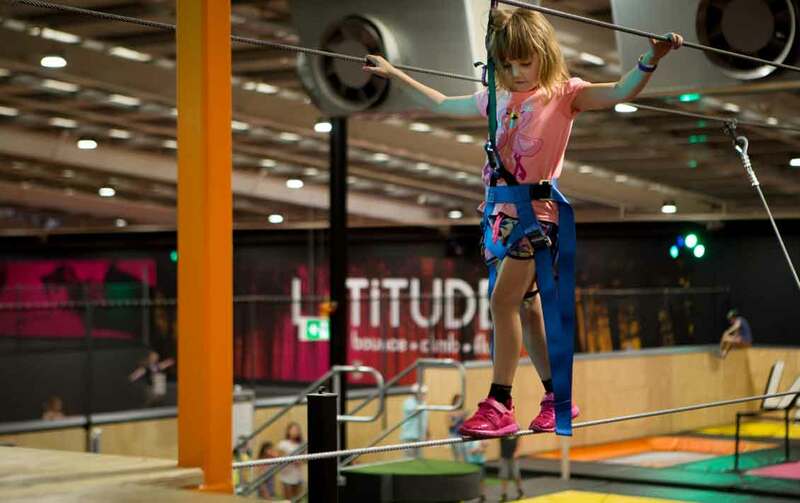 Get set for over 180m of climbing fun! 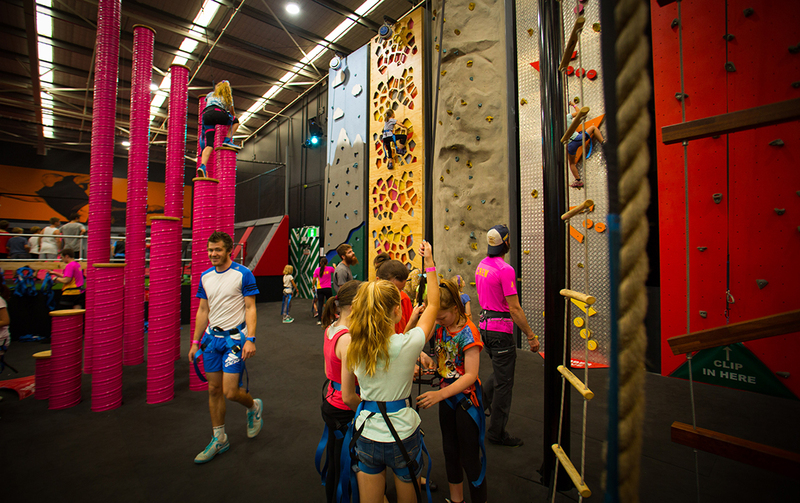 Our dynamic climbing zone is home to 12 unique rock climbing walls, the down-rush bungee tower and our famous pink poles. 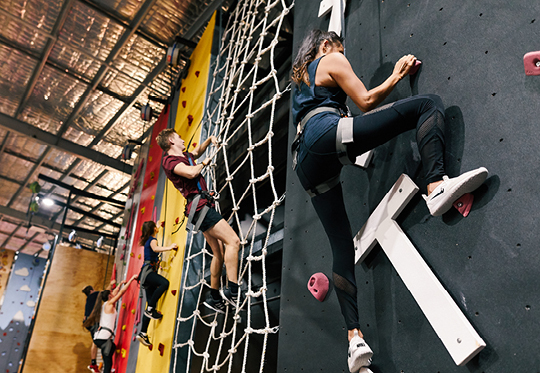 Bring along a mate and race them to the top. 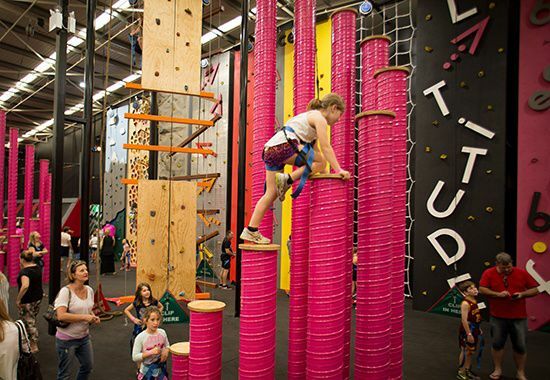 The pink poles and down-rush bungee tower are where those training wheels fly right off. Feel the buzz of your life when you free fall for a few seconds from their highest points. Whoosh! 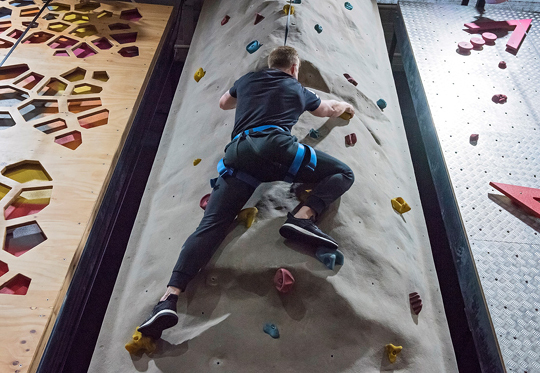 This is indoor rock climbing like you’ve never experienced it! 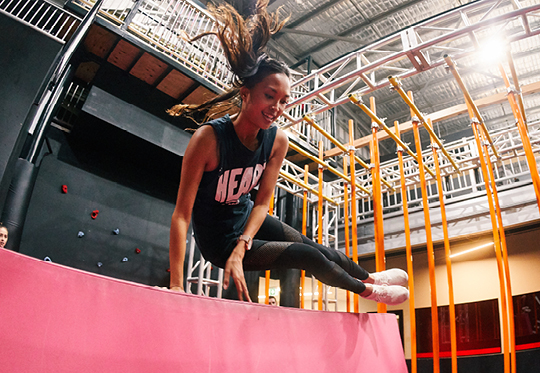 Find the courage to conquer this 8m above ground obstacle course and you’ll score a bird’s-eye-view of all the action below. 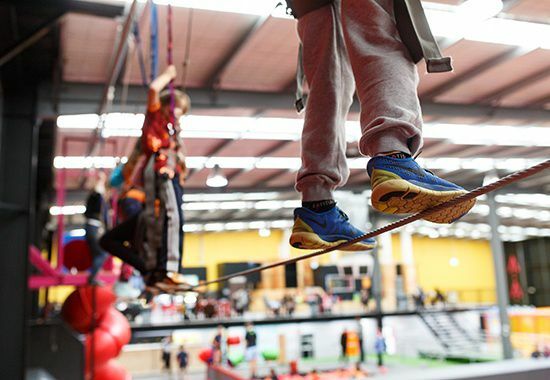 The course will have you climbing, tight-rope walking and swinging through a number of fun and thrilling challenges.